St Mary’s is an active parish church and also a popular venue for a variety of events. Parish churches have traditionally been centres of community life as well as spaces for worship and prayer. We are glad to be able to use our space in so many ways and we welcome your booking. Used for our weekly services, this Nineteenth century church is regular hired for Concerts. Also often used as a workshop space, lecture hall, dance and theatrical performance. Our most regularly hired space. High ceilings, wooden floors, spot lighting with access from main church building and it’s own separate access. 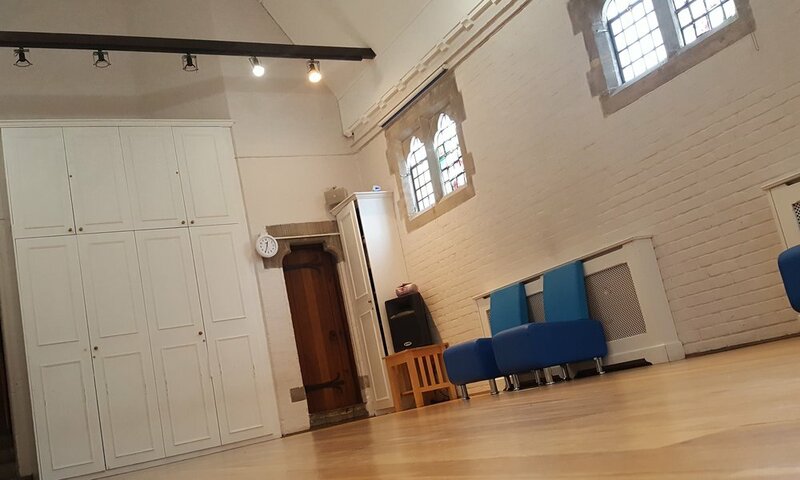 Used for parties, workshops, meetings and rehearsal space. A small room suitable for interviews, small meetings or councilling sessions. Suitable for small meetings or classes, or as part of hire with main church, often used as a space for serving refreshments. Facilities: Chairs and tables, kitchen with sink, hob, oven, microwave, dishwasher, two refrigerators, toaster and kettle, filter coffee machine, access to main church and toilets.